This week's inspirational card I've focused on all things feminine (ribbon, roses and pearls). 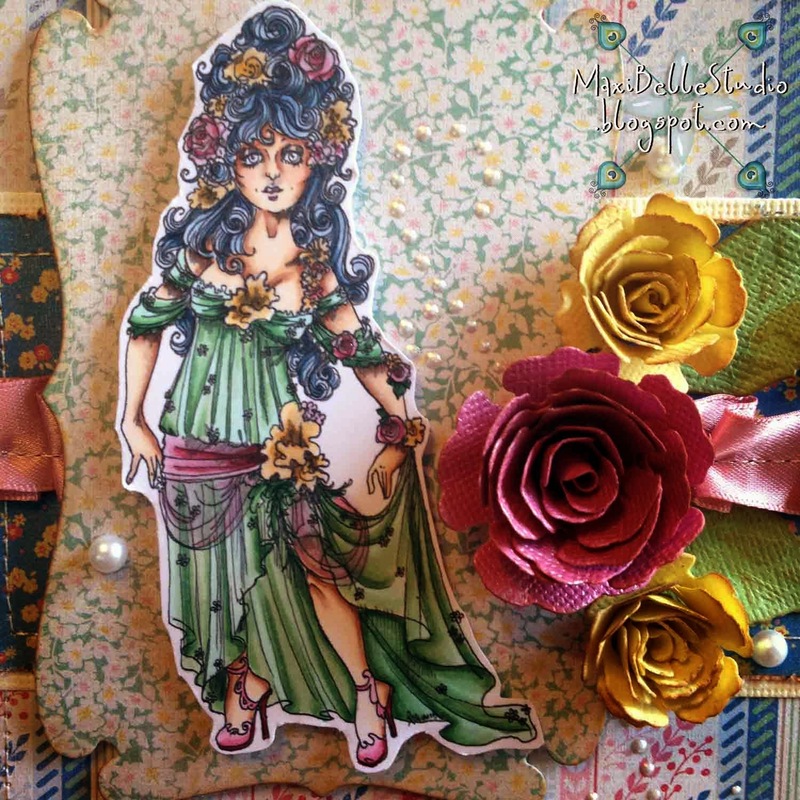 I've used the 'Spring Goddess' image from Rick St Dennis and coloured her with my Copics. I framed her with the Docrafts Xcut Rectangle Parenthesis 2 and layered her on a couple of coordinating designer papers. 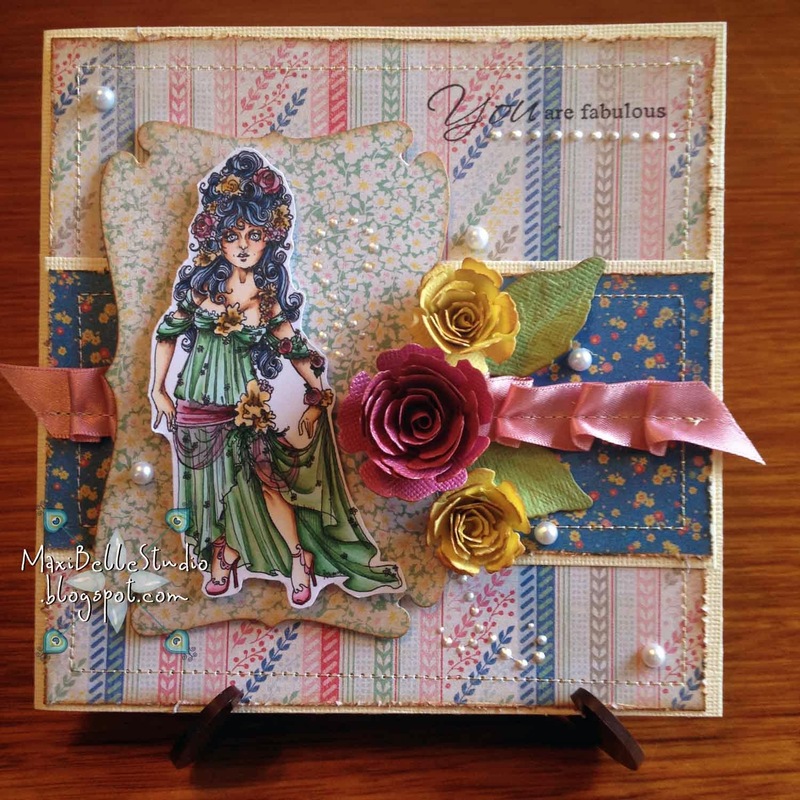 The papers and ribbon have been stitched and the gorgeous Spellbinders Bitty Blossoms have been added to highlight the roses in both the image and the papers. I've finished the card with a splash of Liquid Pearls in some swirls (although they are a little difficult to see) and some other larger pearls, placed randomly over the card. If you haven't already popped over to join in the fun of our Challenge Blog, there is a brand new challenge starting today. The new theme is Stitching (real or faux). There are plenty of awesome DT creations from the talented Team A, and it is open until August 28. To be in the running for the $10 voucher at the Dies R Us store just use a die in your challenge entry. Until next Friday, happy crafting! Love your card! Adore those flowers & all of your papers are gorgeous & oh, so feminine! Great "girl" card! Your colouring really is stunning hun! !